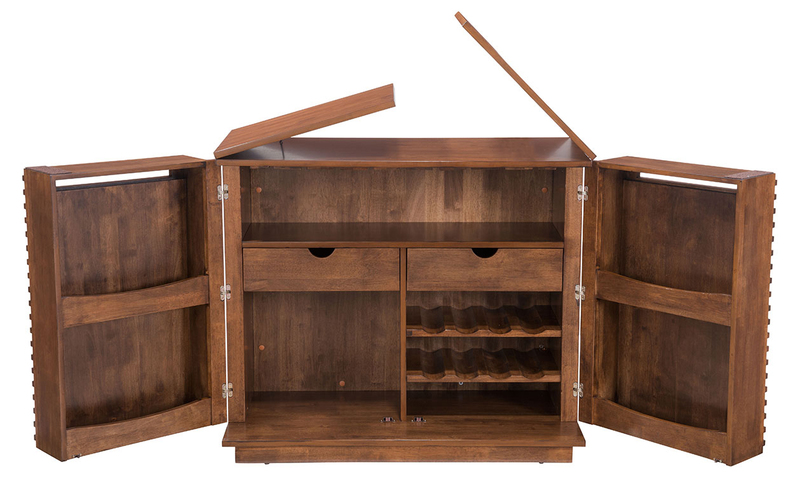 The Linea Bar Cabinet Walnut is a Scandinavian inspired design featuring 2 drawers, wine rack and ample room for glasses and cocktail preparation supplies. 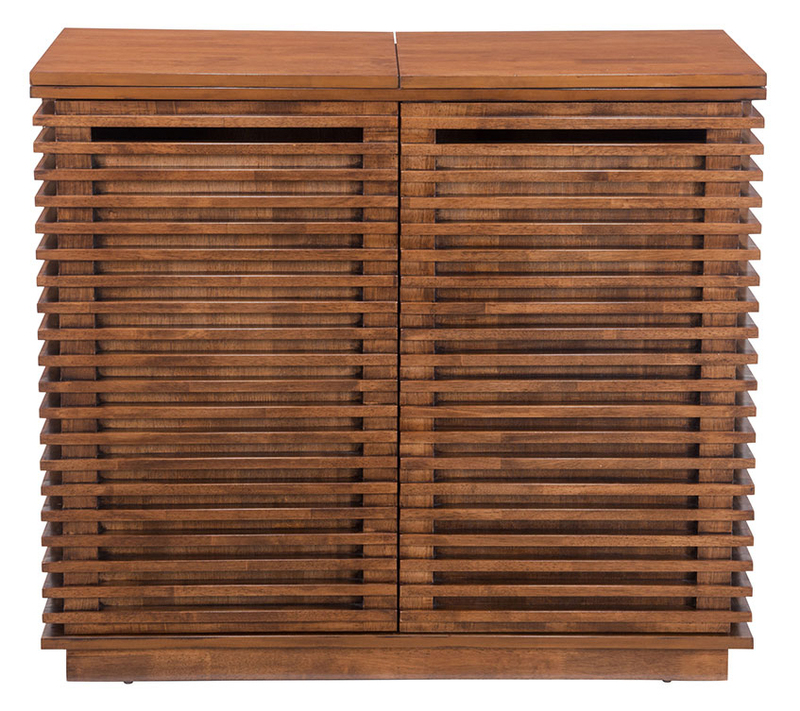 This European modern design cabinet is constructed using rubber wood, MDF and a wood veneer finished in walnut. Add a distinctive design statement in your dining, kitchen or bar area with The Linea Bar Cabinet.